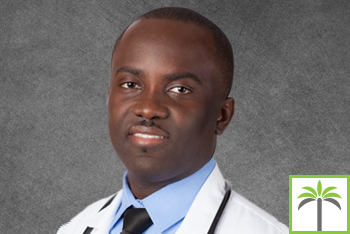 Jean Herold Noel is a foreign Medical Graduate, born in Haiti who is currently practicing at Dr. Tomchik office in Miramar. After Mr.Noel graduated high school, he went to medical school and graduated in 2006. He left his native country in 2008 and moved to the U.S to pursue his interest in medicine. Jean Harold enrolled in 2012 in the Combined BSN-MSN program at the Florida International University where he received a BSN followed by a MSN. This program is specifically designed for Foreign Educated Physicians (FEP) who want to care for patients in the United States. During his time at FIU, he received several honors and awards. He is currently an Advanced Registered Nurse Practitioner with a specialty in Family Practice. Jean Herold loves his patients and enjoys practicing alongside Dr. Tomchik. He is fluent in Creole, French and English. His passion is simply to care for his patients. He spends his free time with family and close friends.